Everyone knows soccer stains are the worst. Those grass and mud tracks are a real pain to get rid of. But the truth is that the hardest kind of stain is one made on a person's reputation. On his "good name". 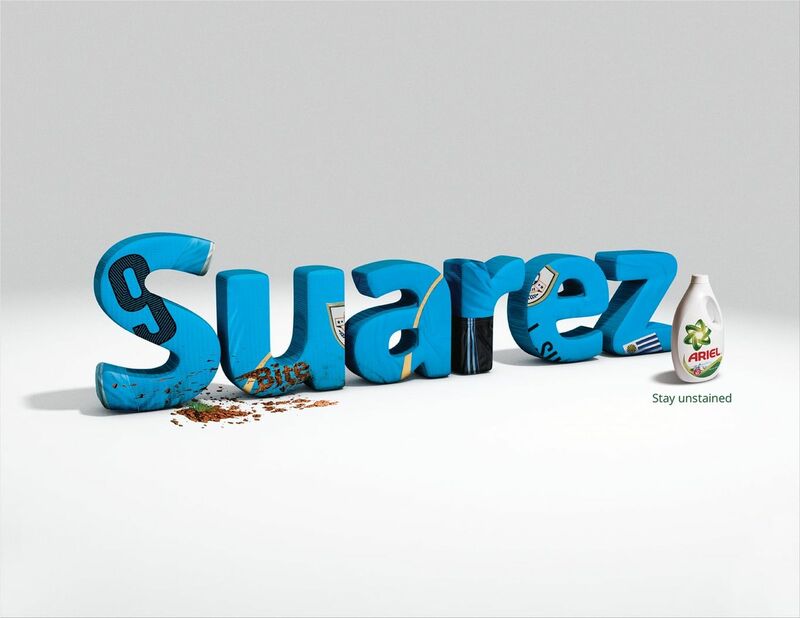 The kind of stain ensued to Luis Suarez's during the last FIFA World Cup. Having said this, chances are that if you use Ariel you might just be able to clean up the mess and "Stay Unstained". Let's do it Ukraine! : Get rid of it before it gets rid of us!